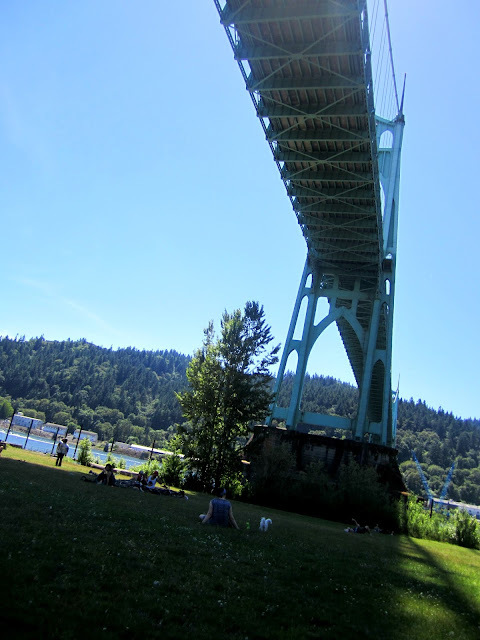 Over the weekend I enjoyed a strawberry picnic hosted by Mint & Mirth under the beautiful St. John's Bridge. It was a perfect summer day and the bridge provided some much needed shade. We didn't want to go home looking as red as strawberries. 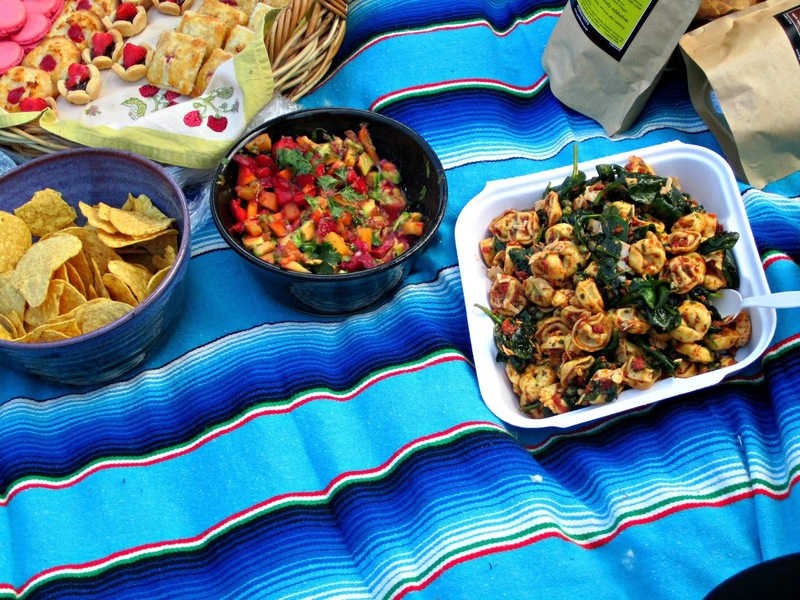 All those invited brought a delicious variety of foods. Rosy Cakes made all these wonderful strawberry pastries. 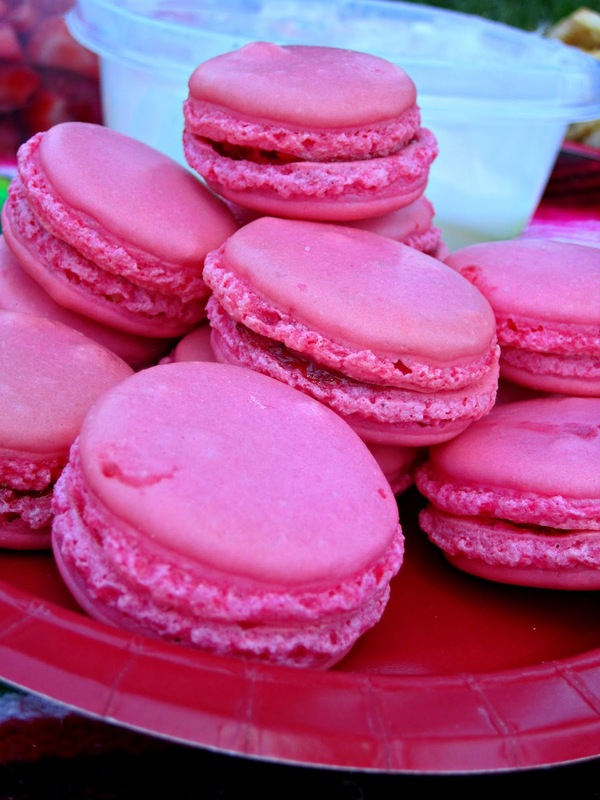 The strawberry macarons, made by Rosy Cakes were filled with a tasty jam-like consistency strawberry filling. Everyone at the picnic was happy to see Churros Locos when she arrived. 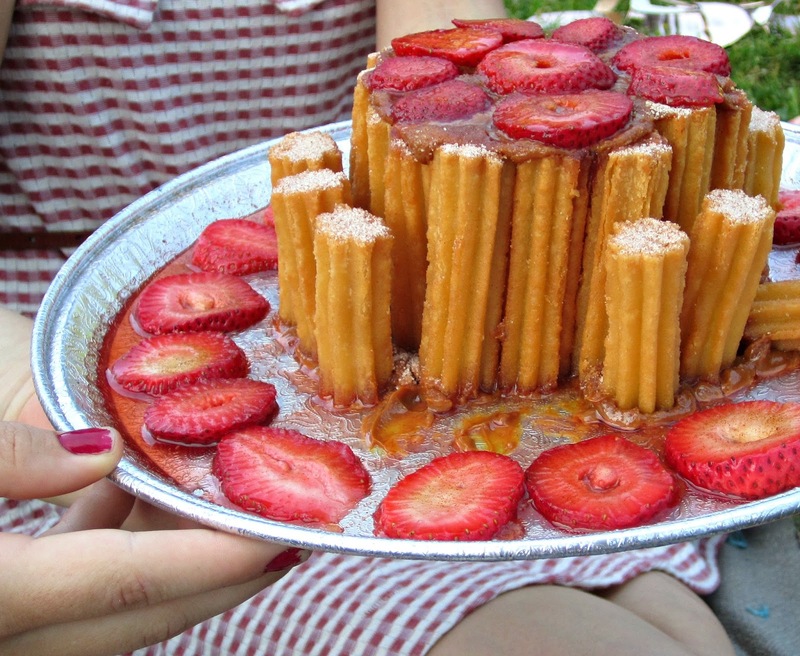 Churro cake with dulce de leche and strawberries. So good. It was hard not to just keep eating it. 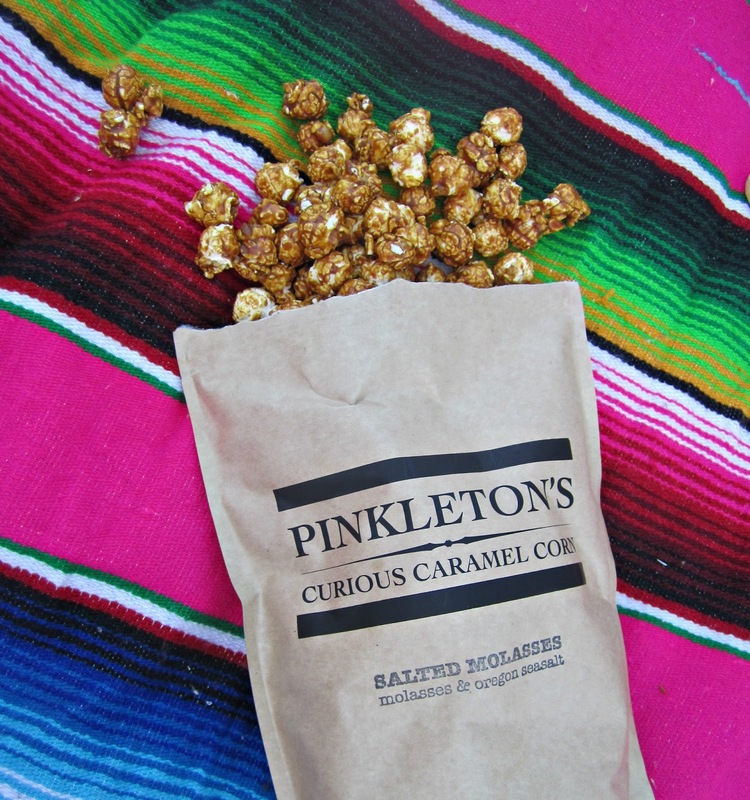 How had I not heard of or had Pinkleton's Curious Caramel Corn before today?! 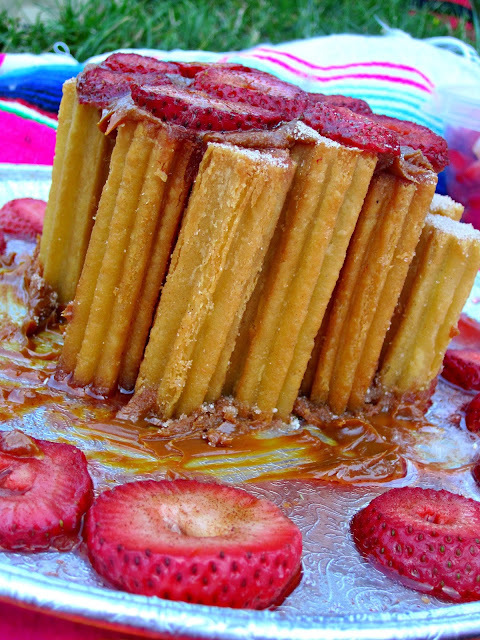 It was so amazingly good. 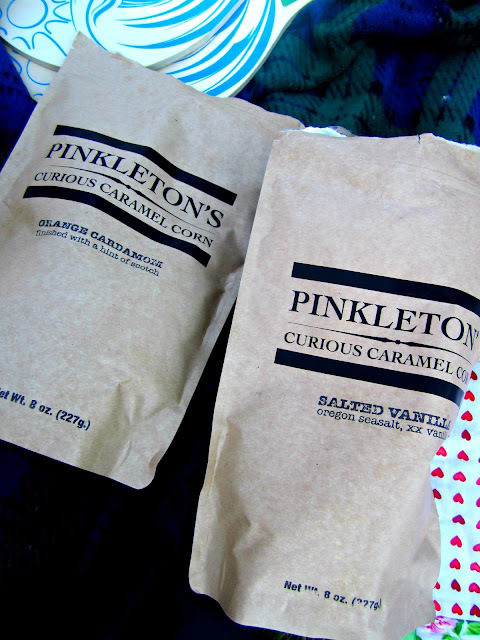 I could have snacked on the whole bag(s). The salted vanilla has a nice salty after taste. My favorite was the Spicy Mexican Cocoa. There was a nice heated KICK at the end. 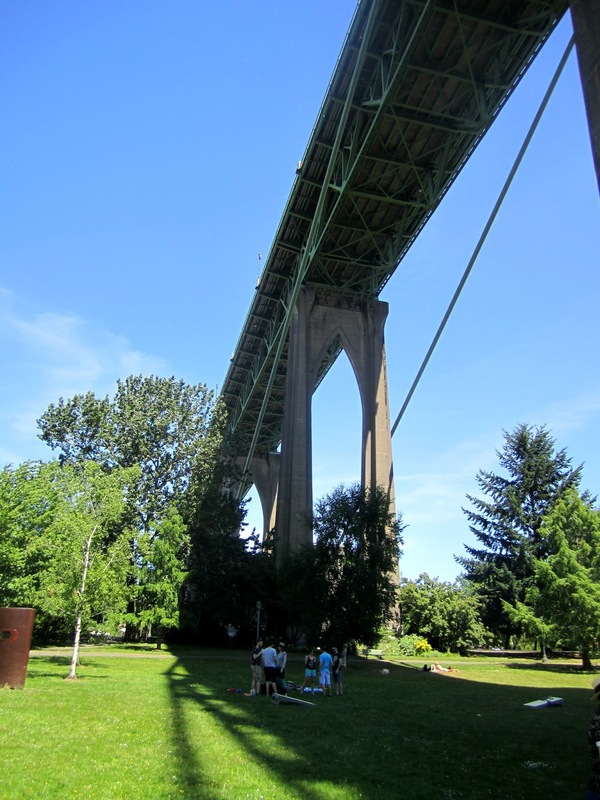 With summer kicking into high gear, I hope you get out and enjoy your days off with friends. Summer picnics with friends are fun, relaxing and full of good times. 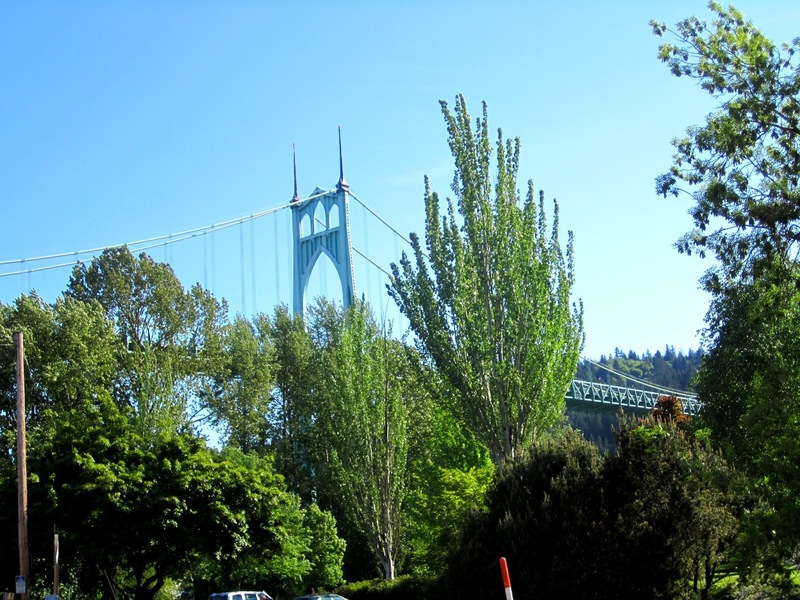 Now get out and enjoy summer! And be sure to stop by my FB and share your fun summer parties. Looks like it was a great picnic! Love the pink macaroons. 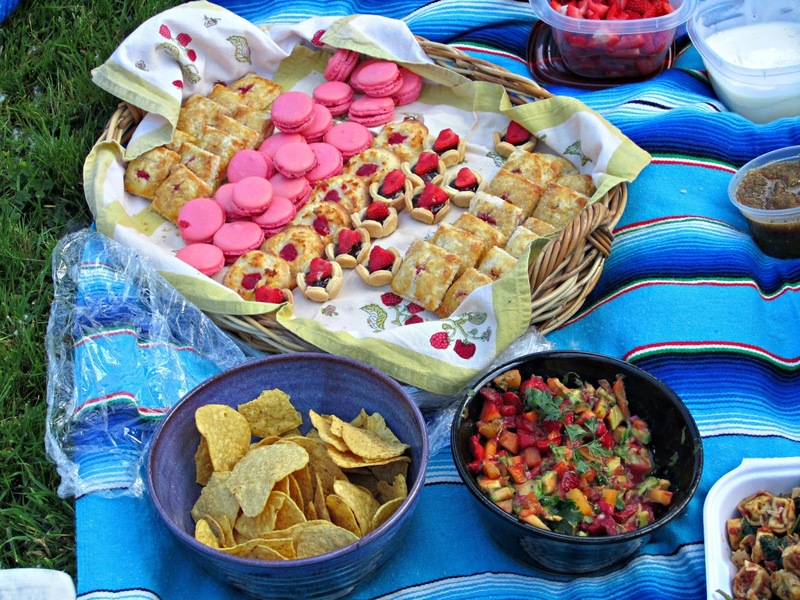 It was a wonderful early summer picnic. Those pink macarons were so good.